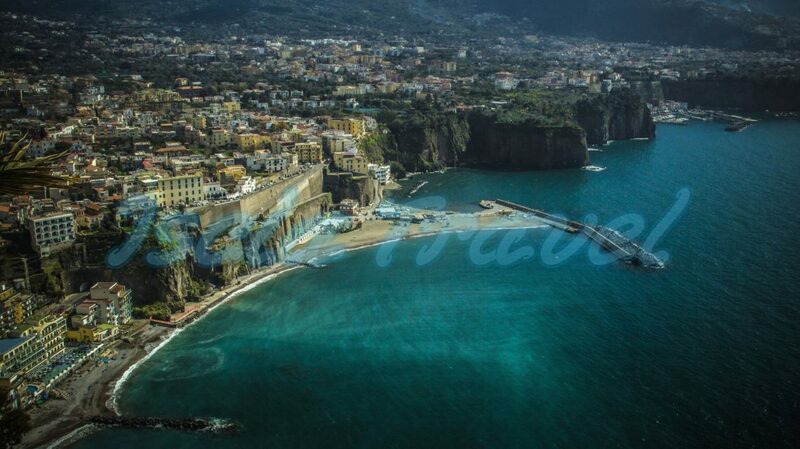 Sorrento is the most well known destination of most tourists. Presumably already inhabited by the Phoenicians, it was first a Greek and then a Roman colony even though they often they rebelled against Rome, without every being destroyed. The origin of the name (Syrentum) is linked to several legends, but the most probable of them all is the one regarding the mythical Sirens said to inhabit the sea of the Bay of Naples. Their melodious and irresistible songs lured the sailors onto the rocks of the Sorrentine peninsula where they were shipwrecked. As Homer relates, Ulysses was also tempted by the sea-creatures, half woman, half fish, but forewarned by Circe, he made his crew tie him to the mast of his ship, thus saving himself. If the truth behind its origins remains a mystery, one thing is however certain, just like these legendary creatures Sorrento, (equally well known by the sobriquet the Land of the Sirens), has always enchanted its visitors thanks to the marvels of its coast, the perfume of its land, and not least the proverbial hospitality of its people. More information about "Sorrento "?